No one put champagne better than the late Sir Winston Churchill: “In defeat I need it, in victory I deserve it.” – and we are sure that Churchill would agree with us that when you’re planning your wedding you always deserve it! As much as you will enjoy guzzling the bubbly throughout your engagement, we have asked the esteemed Champagne Pol Roger to guide us through some of the ins and outs of incorporating champagne in your nuptials. 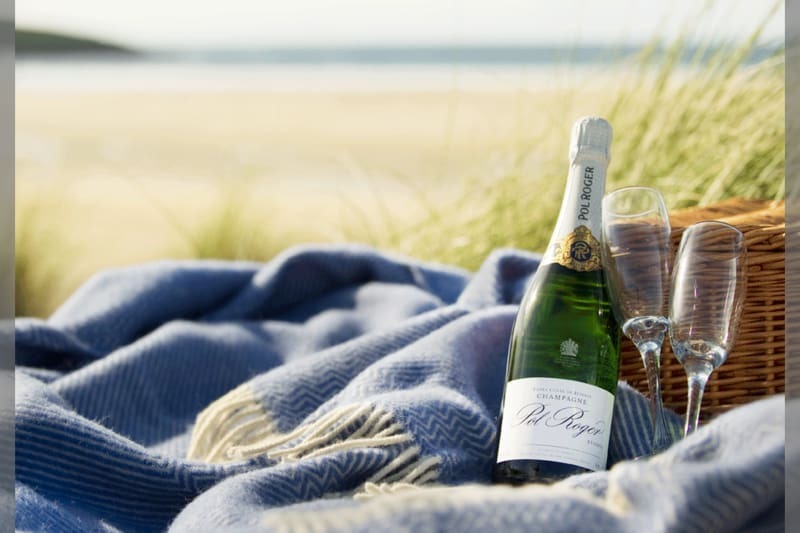 Having been producing exceptional champagne for over 165 years, holding an unrivalled reputation for quality, and being the champagne of choice for the royal wedding – it is needless to say that Pol Roger knows what they’re talking about! The proposal is the ideal moment to splurge on that flawless glass of bubbly, as you celebrate the journey the two of you have just embarked on. To emulate our greatest exponent, Sir Winston Churchill, the Vintage Champagne is the right choice for this ‘victory’. 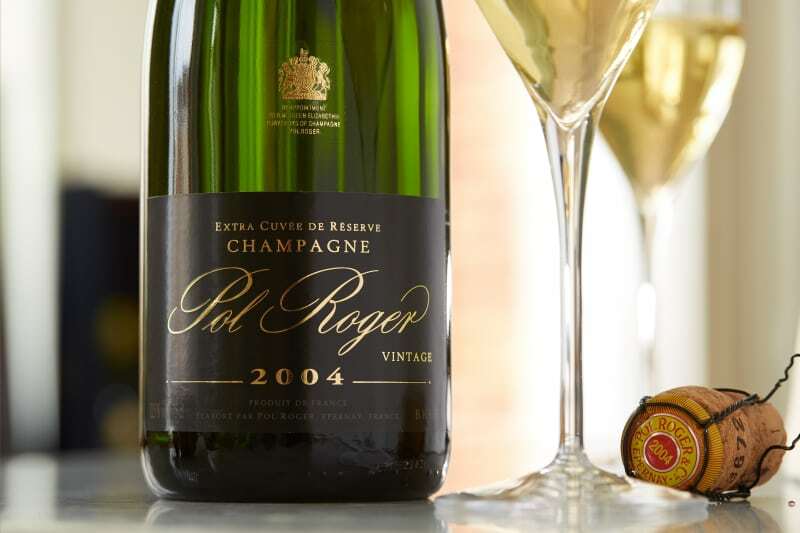 Vintage champagnes, such as Pol Roger Brut Vintage 2006, are produced only when all the necessary components of climate, grape quality and ripeness at harvest come together for the winemaker to produce a wine of optimum intensity, structure and balance which will carry the distinctive character of the year. It’s a classic and with a beautiful glass of bubbly in your hand, that private moment between you and your fiancee becomes extra special. Following the emotionally charged ceremony, a glass of cold, refreshing champagne is perfect for a reception. As this is when the canapes will be served, be sure to choose a champagne that has a freshness to it, but with sufficient backbone to be drunk with an array of foods. Non-vintages, such Pol Roger Brut Reserve, are the perfect choice for the reception. Our apéritif champagne is the definitive house-style, composed from 30 still base wines drawn from at least two vintages, and the three varieties of Champagne, Pinot Noir, Chardonnay and Pinot Meunier blended in equal portions. The champagne is dominated by notes of stone fruits, rich nuttiness and a hint of honey supporting the freshness of the acidity. All too often the same champagne is served for the toast, as is used for the reception. 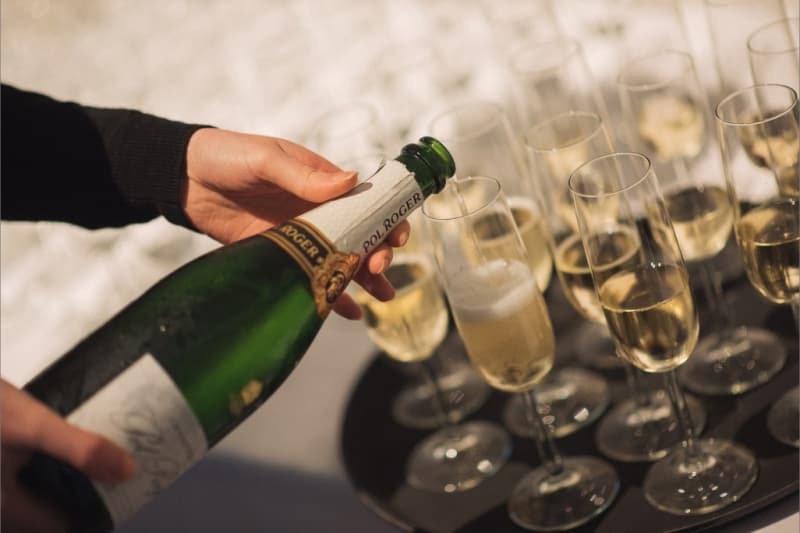 However we recommend serving a champagne that has a slightly higher dosage, stands out to reflect this special moment in your wedding, and complements your cake perfectly. You should look for champagnes such as the Pol Roger Rich, a demi-sec, that has a gentle sweetness of the wine, but is tempered by a refreshing acidity that cuts through to leave the palate cleansed – thus making it the perfect toast to serve with your sweet wedding cake. 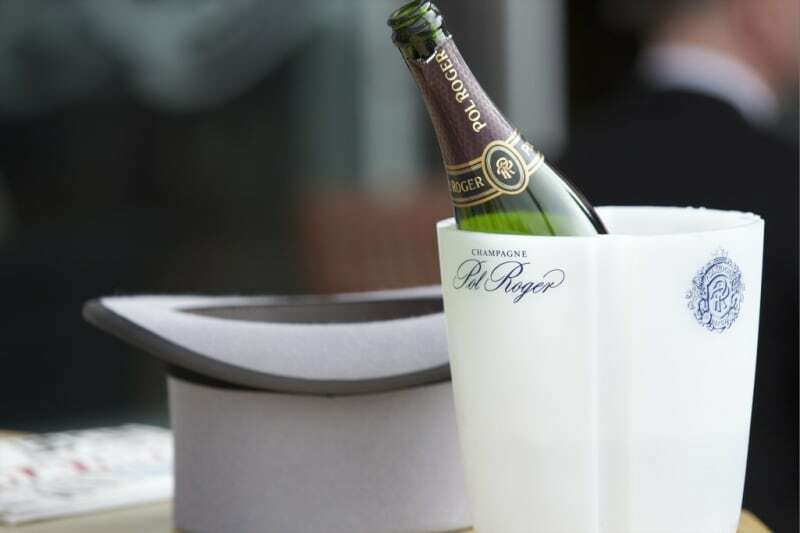 Maison Pol Roger owns 91 hectares of vineyards on prime sites in the Champagne region of France. The cellars run for 7km and are on three levels, the deepest known as the ‘cave de prise de mousse’ at 34m below street level. As the name suggests this is where the wine undergoes its secondary fermentation in bottle. The fact that this deep cellar is at 9°C or less, rather than a normal cellar temperature of 11-12°C, prolongs this fermentation and contributes to the quality and particular style of the wines and their famously fine bubbles. Introduction: The Secrets of Wedding Alcohol.